Tiana and charlotte Change Dress Color. . Wallpaper and background images in the Disney Females club tagged: disney females animated movie tiana the princess and the frog. 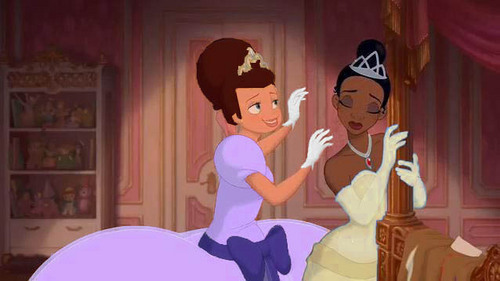 That pale yellow looks good on Tiana!